Response Care is a wireless nurse call and personal emergency system provider. The company was founded in 2006 and is located in Rochester, New York. Response Care provides a range of products from an alert system and notification systems to a wireless network. The systems can be installed in places where elders continue to enjoy living normally, but need monitoring services. Response Care looked for a business partner to provide engineering and manufacturing expertise in creating an industrial device to quickly and reliably connect patients with staff. 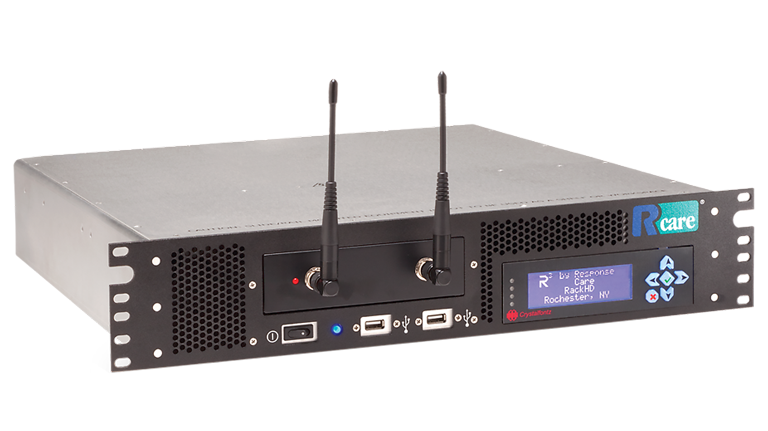 Response Care chose to partner with Crystal Group to provide an industrial server capable of meeting UL-1069 certification, as well as forming a longterm relationship that provides engineering and manufacturing expertise. Response Care’s mission is to help caregivers provide quality care, safety and security for their patients, residents, and loved ones by providing state-of-the art, reliable communications. Response Care’s innovative R3Cube™ Wireless Call System simplifies technology by bringing together a variety of healthcare communication systems ranging from standard call cords, bedside stations, security, resident safety, fall prevention, and building monitoring. Earlier in its history, Response Care used a single hard drive server system. Furthermore, to install units into communities of all sorts, Response Care needed a full UL 1069 compliant system. The previous solution provider was experiencing a number of failures and complications. Crystal Group’s Industrial Server IS200 is private labeled as Response Care’s R3Cube system. In 2012, Response Care approached Crystal Group looking for a manufacturing company partner to build a new version of their R3Cube platform. The new device would increase performance reliability while meeting UL-1069 Edition 7, the highest standard in hospital signaling and nurse call equipment. Crystal Group was selected to manufacture and private label their new R3Cube servers. The R3Cube uses Crystal Group’s IS200 industrial server. Crystal Group’s reputation for designing and manufacturing highly reliable servers and for providing outstanding customer service was the partnering fit Response Care sought to fulfill its vision. Response Care worked with the Crystal Group team on a design requirement for their R3Cube system, achieving a highly durable and technologically advanced system. The Crystal Group IS200 server is manufactured with a light weight aluminum construction, a 20” depth and with the option of private labeling. The IS200 can operate at temperatures as low as -10°C and as high as +55°C. With leading edge Intel® Xeon® CPU options, this server is the best-in-class. The primary goal of Response Care is to improve the lives of seniors and those who care for them. With its redesign of the R3Cube system using the capabilities of Crystal Group’s IS200 server the company is making that mission easier by providing a high reliability, low maintenance alert system to care facility customers. Through the IS200’s UL compliance and product dependability, Crystal Group’s responsive customer support and commitment to manufacturing, Response Care staff can focus on developing applications and other technologies that continue to support the company’s mission. Whether it is providing care professionals with wireless call notifications or sending internal system notifications to IT, Response Care can use the industrial server from Crystal Group to save time, make employees’ jobs easier, and improve the valuable service that Response Care’s customers offer to the community. With the success of the R3Cube system, Response Care’s business continues to grow and is now ranked in the top three of wireless nurse call companies nationally. 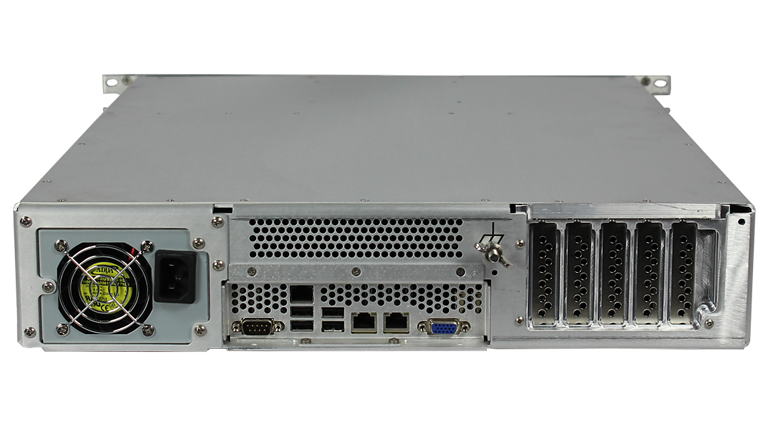 Rear view of the IS200 Crystal Group Rugged Industrial Server.